If you have any questions about the ANTONISA information page below please contact us. Originating from the Hodgdon Yachts shipyard in the United States the ANTONISA is 38 m 124 (ft) in length. Ready for launch in the year of 1999 the modern interior decoration reflects the scope emanating from the boards of Cecilia Castoldi. Superyacht ANTONISA is able to accommodate up to 8 people with 6 qualified crew. She will attain a top speed of 11 knots. Bruce King was the naval architect involved in the formal superyacht plans for ANTONISA. Also the company Bruce King successfully worked on this venture. Interior designer Cecilia Castoldi was selected for the creative interior ambience. 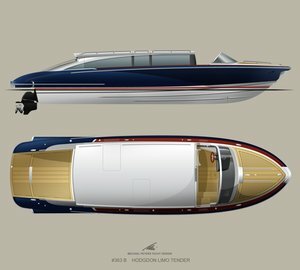 Created at Hodgdon Yachts the vessel was constructed in the yacht producing country of the United States. She was officially launched in East Boothbay Me in 1999 before being handed over to the owner. Her hull was built out of wooden/epoxy (west). 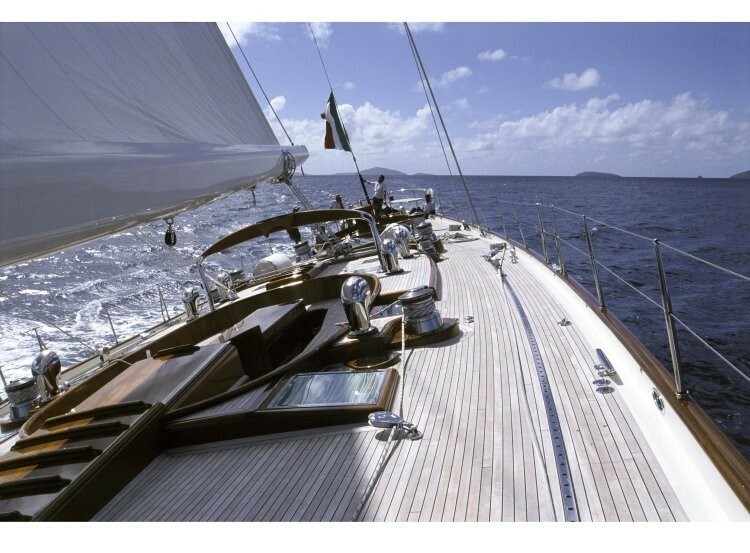 The sailing yacht main superstructure is made extensively with teak. With a beam of 7.77 metres or 25.5 feet ANTONISA has reasonable size. A reasonably 8.05 (26.4 ft) draught of 8.05m (26.4ft) limits the list of ports she can visit, depending on their specific depth at low tide. 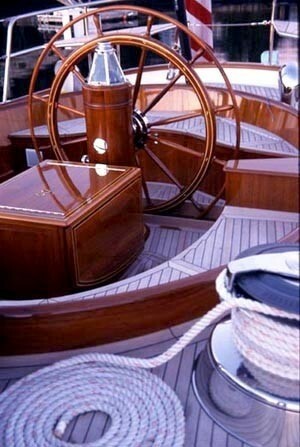 The L6140HE engine powering the yacht is produced by LUGGER. Her propulsion units are a single screw propeller. The main engine of the yacht generates 530 horse power (or 390 kilowatts). She is fitted with 1 engines. The total power for the boat is accordingly 530 HP or 390 KW. 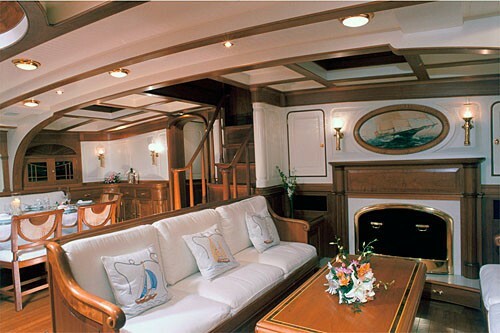 Having room for a maximum of 8 yacht guests overnighting, the ANTONISA accommodates everyone in luxury. 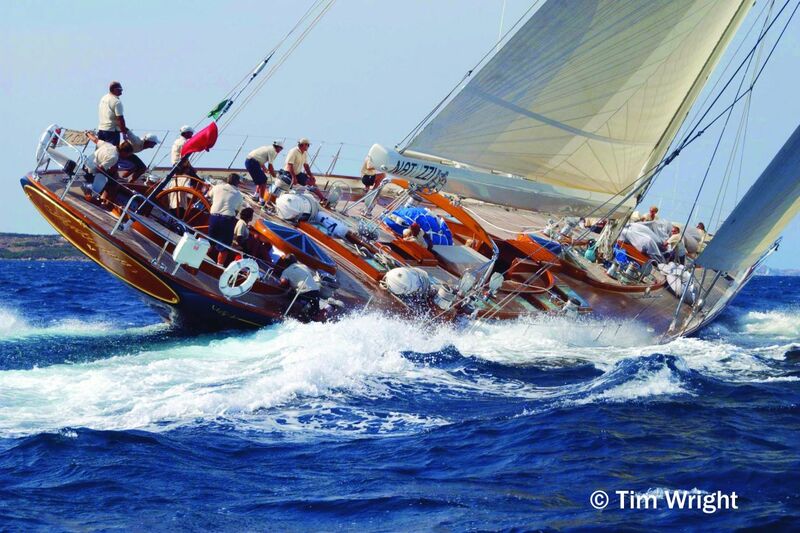 The boat carries approx 6 expert crew to maintain and sail. 37.8 metres / 124 feet. Main Engine(s) is one 530 HP / 390 Kilowatts Lugger. The Model type is L6140HE diesel. Total engine power output 530 HP /390 KW. Northern Lights 2 times 30 kilowatts. 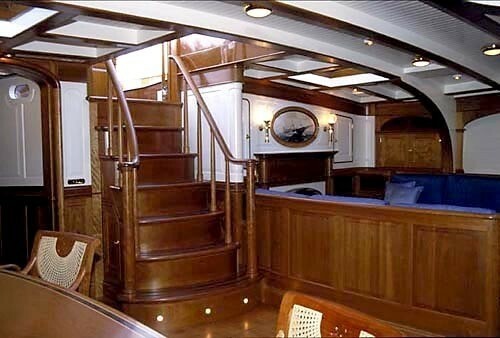 The luxury yacht ANTONISA displayed on this page is merely informational and she is not necessarily available for yacht charter or for sale, nor is she represented or marketed in anyway by CharterWorld. This web page and the superyacht information contained herein is not contractual. All yacht specifications and informations are displayed in good faith but CharterWorld does not warrant or assume any legal liability or responsibility for the current accuracy, completeness, validity, or usefulness of any superyacht information and/or images displayed. All boat information is subject to change without prior notice and may not be current.